Since spring hasn’t fully kicked in yet, I am at least trying out the pastel color trend on my nails. I know it’s immature and everything but I’ve always felt the need to decorate things around me, so I guess that’s where my nail polish addiction comes from. 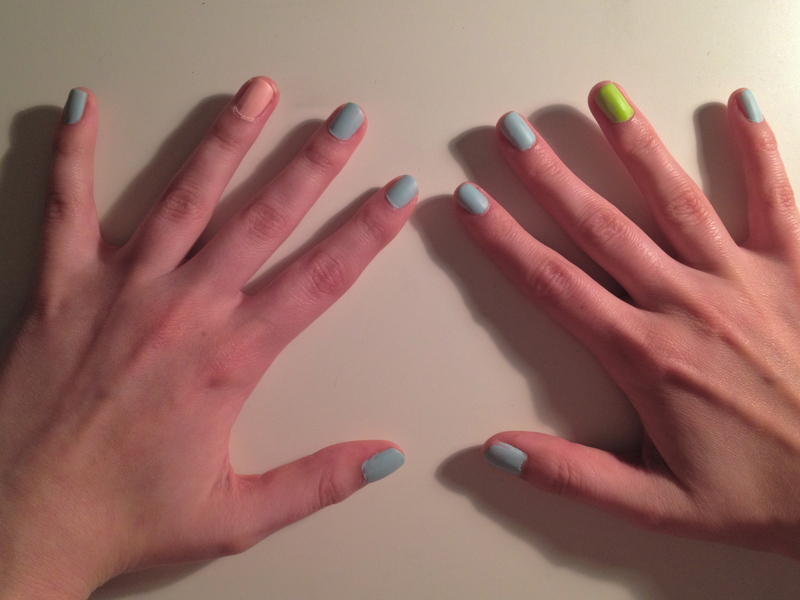 Light blue by Essences, neon by Depend, candy cotton pink by Alessandro and matte top coat by P2 – around 2€ each.